A mixture of emotion and spiritual joy was perceived In the eyes of the young man who pronounced this sentence; it was not just another comment, made lightly. 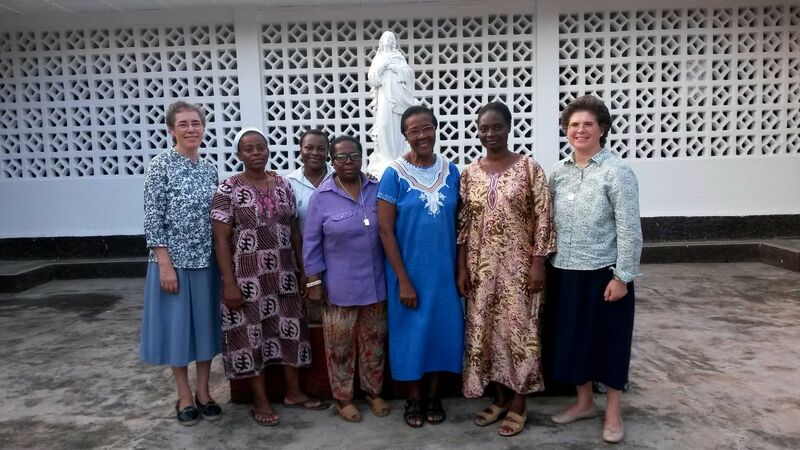 The projection of that video-talk of Mother Trinidad gave an end to a series of meetings organized by The Work of the Church in the parish-sanctuary Claret, within the framework of their Mission in Malabo (Equatorial Guinea). That young African man had been restless for several minutes, containing himself, waiting for a space of silence in order to be able to intervene in the spontaneous circle of friends that had been formed at the end of the event. He couldn’t stand it any longer, he felt full and happy, suddenly interrupted the one who was speaking, “Give me a moment…”, and he let the words escape in droves and breathed satisfied. The scene took place a few weeks ago in the African island of Bioko, specifically in the city of Malabo, situated at the foot of the Pico Basile, which, from its more than three thousand meters, majestically dominates this beautiful island. “It is necessary for theology to be made accessible to all the children of God giving it to them warmed up in love so that they may live in intimacy with the Divine Family”. 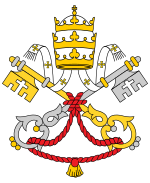 “The Work of the Church… comes for everyone and to bring up to date, in the warmth of the infinite Wisdom, the warm and living presentation of our very rich dogma. It comes to bring the warm theology, warmed up in love, showing the sparkling face of God, who manifests Himself in the splendorous face of the Great Christ of all ages”. That is precisely what had occurred in the soul of that young man from Equatorial Guinea: a powerful and clear light; the simple presentation of the mysteries of the faith in loving wisdom; a “tasty” and “warm” presentation of the dogma of our Holy Church… a light that had entered his soul and made him perceive a glimmer of the mystery of the Trinitarian life of his Father God. The Archbishop of Malabo had discovered years ago the gift that God has placed in the soul of Mother Trinidad for the whole Church. 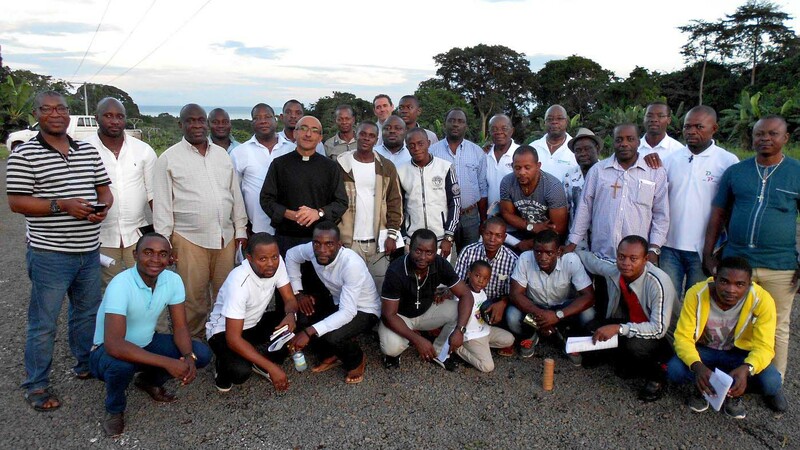 And he wanted to organize at the beginning of the pastoral year in his Diocese what he himself called “a landing” of the Work of the Church in the Archdiocese of Malabo, in order to bring this gift of God to as many people as possible. 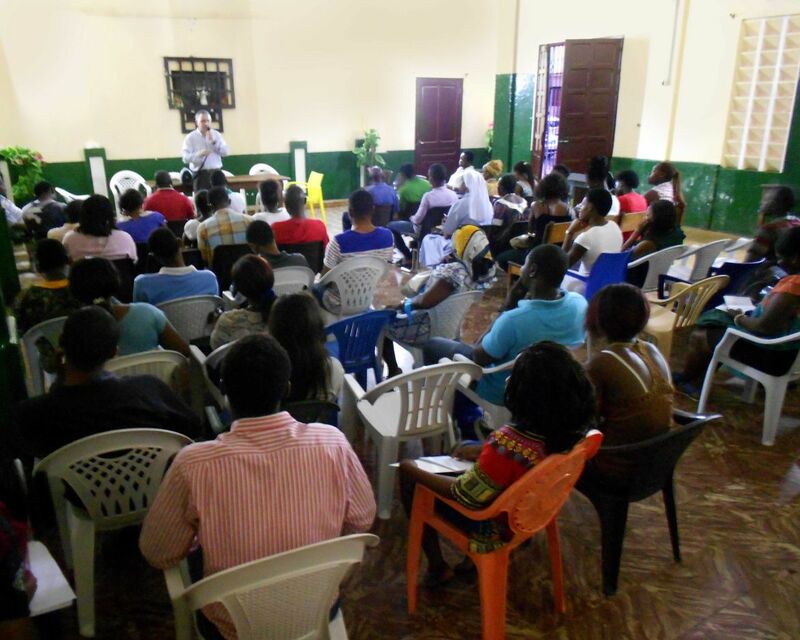 During fifteen dense and tight days, a group of nine consecrated members of The Work of the Church, priests and lay men and women, was able to reach all kinds of people: priests, religious men and women, children, young people, adults, singles, married… trying to help everyone to discover more deeply and to savour, through the talks, videos and writings of Mother Trinidad, the richness and the joy of being Church. And the people of Malabo, welcoming, open and simple people, responded with enthusiasm. 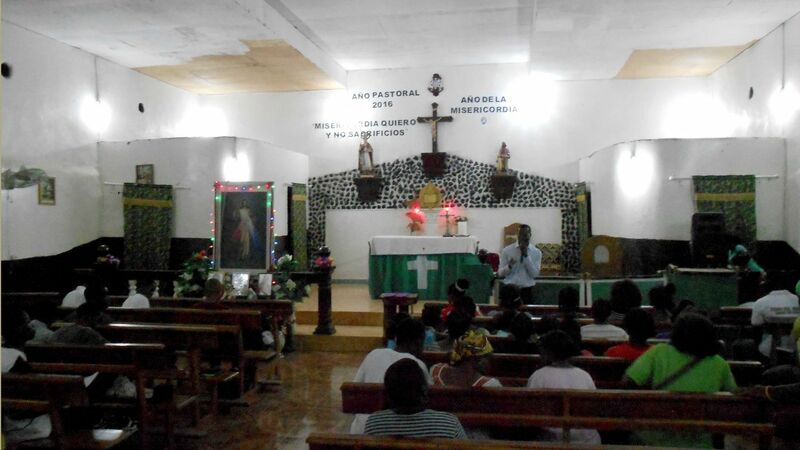 That little part of the Church in Africa, the only one where the native language of the founder of The Work of the Church –spanish – is spoken, could hear her message directly, without translations, accepting the gift of God with great opening and appreciation. It was moving to see those of our brothers so besieged in recent decades by a multitude of protestant sects and groups who settled on the island and try to mislead, asking. The Work of the Church for the light, orientation, doctrine and advice they need to be able to resist and defend themselves against the avalanche of false ideas that are presented to them, trying to remove them from the true flock of Christ. “It is necessary to present the Church with all her beauty, living the life of the Trinity, of Christ and of Mary through a great charity, to bring back all the separated children who went away from the bosom of this Holy Mother, because we, those who are Church, do not present her to them in all her beauty”. Simple but vital paths of renewal: to present the Church in all its beauty and splendour; live and make everyone live in wisdom and love the life of our Father God who dwells in the Church precisely to make everyone share His life; to present and make souls savour the greatness of Mary, Mother of God and Mother of the Church; make them discover the loving presence of Jesus in the Eucharist, that tireless awaits them for love… That was the profound desire and the common commitment of the Archbishop of Malabo and The Work of the Church in so many activities carried on during these days: retreats, meetings, visits, Celebrations… A real mission in the capital of that beautiful central African country which is Equatorial Guinea. 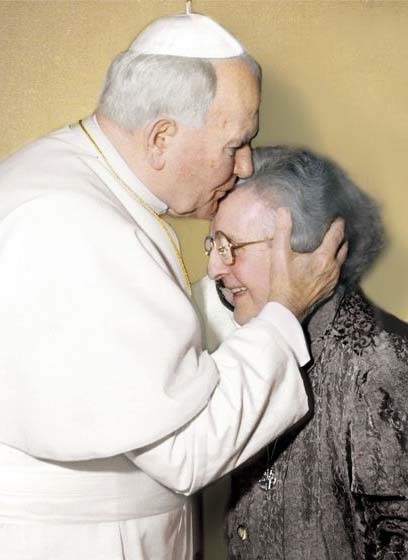 There is a large group of souls there waiting for new visits of The Work of the Church in order to continue receiving that spiritual nourishment: the song of “the Echo of the Church” – this is just what God made Mother Trinidad become from March 1959 – through her offspring, called to help the Pope and the Bishops to do, throughout all times, and in all corners of the earth, the essential Work that Christ entrusted to them.